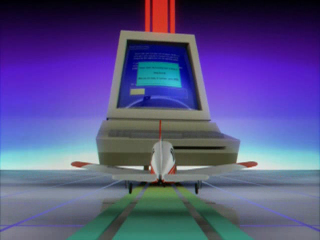 For Microsoft, 1990 is about communication as we announce the integration of voice messaging capabilities into Microsoft Mail for AppleTalk Networks. WinMail, a Windows version 3.0-based mail front end is available for internal use and Russian MS-DOS 4.01 is the first Microsoft product localized for the Soviet market. The 1990 fiscal year-end sales total $1,183,446,000, over the $1 billion mark for the first time. The 1990 fiscal Year employee headcount totals 5,635 people. Microsoft announces the retail availability of Word for Windows also shipping in international versions to the United Kingdom (U.K.), Canada, and Australia. Microsoft and Micro Decisionware announce the Database Gateway, which integrates SQL Server and mainframe environments so that users can obtain data transparently from either or both, with standard PC applications. Microsoft License Paks for large corporate accounts are announced. Available for each of the major applications products, Microsoft License Paks will be a new Microsoft packaged product and will be distributed through dealers. This will be a worldwide program. Microsoft will provide TrueType outline font technology in Microsoft Windows and in OS/2 Presentation Manager 2.00. Microsoft also reports that Microsoft TrueImage will be the name for its page description language. Microsoft Press announces the acquisition of the publication rights to the entire line of computer books from The Cobb Group, Inc. The deal includes six titles already in print and three forthcoming titles. This acquisition of Cobb's book line brings the number of Microsoft Press titles in print to more than 100. Nathan Myhrvold is appointed Vice President of Advanced Technology and Business Development. Myhrvold will be responsible for assessing future systems software technology and identifying new business development opportunities and will coordinate various internal and third-party research and development projects. He will report to Steve Ballmer, Vice President of Systems Software. 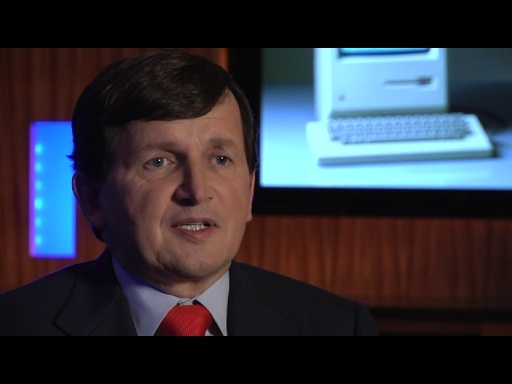 He has been with Microsoft since 1986. East Germany holds its first democratic elections since 1932, and Excel for OS/2, installed on IBM Model 80s, keeps track of and charts the results in the Press Center, Volkskammer (Parliament), and the Palast der Republik, home of TV studios and the central election point. Microsoft announces the integration of voice messaging capabilities into Microsoft Mail for AppleTalk Networks. Mail is the first business application to incorporate sound recording, compression, and playback technology, developed with Farallon Computing, Inc.
WinMail, a Windows version 3.0-based mail front end, is available for internal use. WinMail allows the users to manage e-mail on a local PC with the Windows 3.0 graphical user interface. Previously, Microsoft employees were using Xenix e-mail. Microsoft appoints Michael R. Hallman as president and chief operating officer, to succeed upon Jon Shirley’s retirement. 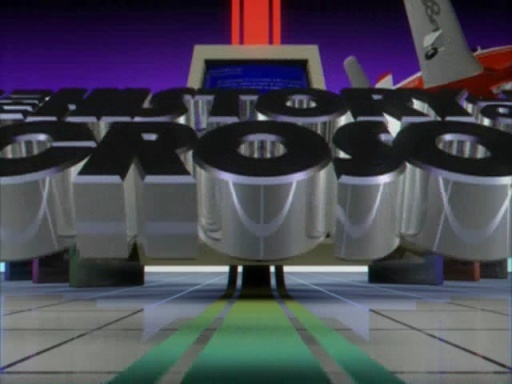 Russian MS-DOS 4.01 is the first Microsoft product localized for the Soviet market. Technical support will be offered to the more than 25 million users of Microsoft® MS-DOS® in the U.S. The support applies to all OEM versions of MS-DOS. 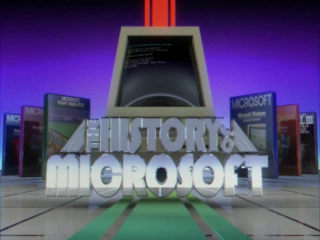 Because Microsoft licenses the MS-DOS system only to OEMs rather than end users, product support has previously been the responsibility of the individual OEM. Now Microsoft will provide supplementary support. Microsoft will donate $100,000 to the Smithsonian Institution for a new exhibit to be called "The Information Age: People, Information, and Technology." This exhibit will explore the way information technology has changed society over the past 150 years. A special section will be devoted to the evolution of personal computers into current information technology. The first "Bike to Work Day" is held. More than 170 enthusiasts pedal their way to work. The "Lead by Example" Award for the highest corporate officer to ride in goes to new President Mike Hallman. 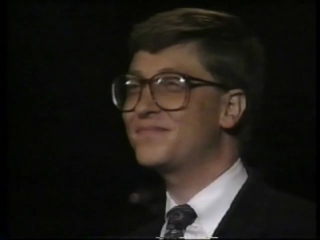 Microsoft announces the availability of Windows 3.0 at the City Center Theater in New York, New York. Breakthroughs in computer memory management would help this version be the one that finally got momentum in third party applications being built for the Windows environment. 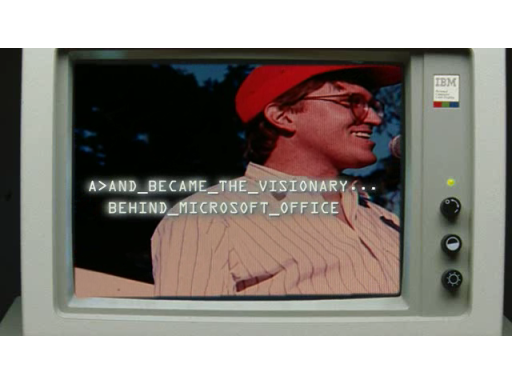 The Microsoft Road Show '90, "Seeing is Believing," is on the road. For the third year, products and expertise are taken to selected cities around the country and seminars are offered to end users and resellers. 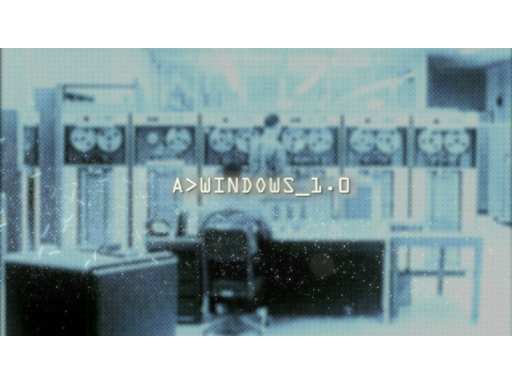 This show is almost entirely devoted to Microsoft® Windows® products and the graphical user interface. The Microsoft Company Store opens. 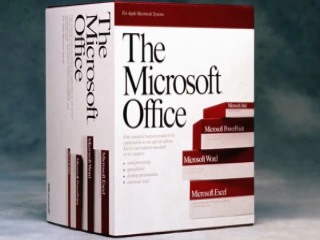 It will provide Microsoft® Press books, Microsoft software, and Microsoft Mark logo items. Plans to open an East Coast Product Support Services site this fall are announced. The new site will be located in Charlotte, North Carolina. Charlotte was selected because of its competitive real estate market, large student population, state-funded training program, and high quality of life. 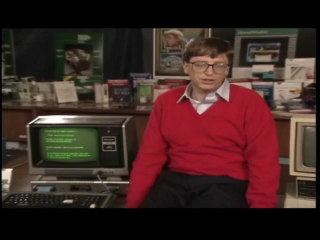 Kicking off its 15th-anniversary celebration, Microsoft becomes the first personal computer software company to exceed 1 billion dollars in sales in a single year, with revenues of 1.18 billion dollars. Microsoft forms the Microsoft Consulting Services Group, aimed at helping large corporate customers better use Microsoft products to build complex information systems. Microsoft launches the Microsoft Windows Computing Marketing Program, the largest single marketing campaign in the company's history to date. The total cost of the marketing campaign is more than $7 million. IBM reaffirms its relationship with Microsoft and extends its licensing arrangements for the Microsoft® MS-DOS®, Microsoft Windows®, and OS/2® products. Highlighted are a series of steps that have been taken to improve the efficiency and productivity of development efforts for MS-DOS and OS/2. Office for Windows which includes: Excel, Word, and PowerPoint is available. Microsoft announces the availability of Microsoft Entertainment Pack for Windows. It includes: Tetris, Taipei, MineSweeper, TicTactics, Golf, Cruel, and Pegged; plus the IdleWild screen saver. The Microsoft Consultant Relations Program, a new program designed to support third-party consultants who develop systems based on Microsoft® products for their customers, is announced. The program provides a variety of services to qualified consultants including technical information, product information, product discounts, and customer referrals. Bill Gates delivers his Information At Your Fingertips speech at Fall/COMDEX Las Vegas, Nevada. At the Microsoft Multimedia Developers Conference in San Jose, specifications of PC-based multimedia are announced. The Microsoft® Multimedia Development Kit is announced. Tandy announces plans to deliver integrated Microsoft Windows®-based Multimedia PCs (MPCs) and upgrade kits. Microsoft and IBM announce publication of a specification for common multimedia API and data formats. · USSR: The Soviet Union unravels as it agrees to pull its troops out of Hungary and Czechoslovakia, the Communist Party drops its monopoly on power, private property and religious freedom are legalized, Lithuania, Estonia, and Armenia declare independence, Boris Yeltsin is elected president of Russia, and the first McDonalds opens in Moscow. · Internet: Tim Berners-Lee writes the initial prototype for the World Wide Web. · Middle East: The Gulf War begins as Saddam Hussein invades Kuwait. · Business: Time Inc. and Warner Communications merge to form TimeWarner. · South Africa: Nelson Mandela is freed from prison after 27 years. · TV: Murphy Brown, Cheers, and The Cosby Show are among the top television programs. Law and Order, The Fresh Prince of Bel-Air, and In Living Color premiere. · Space: NASA announces that the $1.5 billion Hubble Space Telescope is defective. Astronauts are later able to make repairs. · Cars: New brands introduced include Lexus, Saturn, and Infiniti. · Reunification: East and West Germany are united as one country for the first time since World War II. · Banks: The Savings & Loan scandal rocks the banking industry, causing closure of many S&Ls and eventually costing taxpayers billions. · Muppets: Jim Henson dies of pneumonia at age 53. · Recall: Perrier is pulled from the world market when traces of benzene are found in US samples. · Poland: Solidarity's Lech Walesa is elected Poland's president. · Electronics: Intel announces the 80586 chip, later renamed the Pentium. · England: Margaret Thatcher steps down after 11 years as Prime Minister, succeeded by John Major. · Movies: Top grossing movies of the year include Home Alone, Ghost, Pretty Woman, and Dances with Wolves. Dances with Wolves also netted Oscars for Best Picture and Best Director (Kevin Costner), while Kathy Bates won Best Actress for Misery, and Jeremy Irons took Best Actor for Reversal of Fortune. 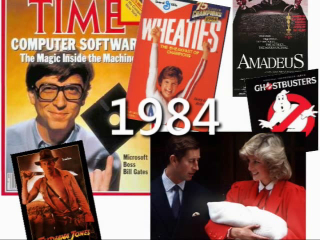 · Microsoft, IBM, Tandy, AT&T, and others announce hardware and software specifications for multimedia. · Asymetrix releases ToolBook, one of the first programs to exploit the graphical capabilities of Microsoft Windows 3.0. McDonald's opens its first franchise in the Soviet Union. Nice episode! How many episodes are you going to make? I hope until 2009 : ) so I wait the end of all history then I'll watch all of them. I watch one of the episodes quite every day, instead. Tina is so lovely ! Ah, by the way, thank you Tina for all this stuff. 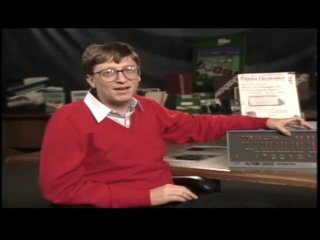 I especially like to see the old commercials from Microsoft, like the SQL Server one (19888 or 89, I don't remember exactly), so funny !